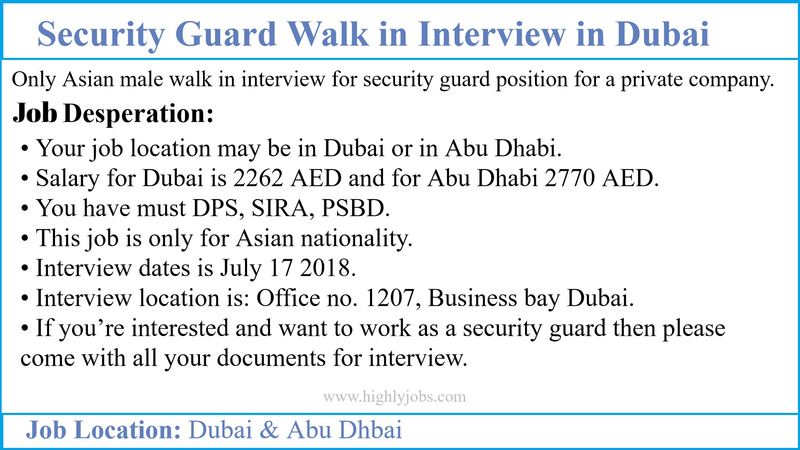 · Your job location may be in Dubai or in Abu Dhabi. · Salary for Dubai is 2262 AED and for Abu Dhabi 2770 AED. · You have must DPS, SIRA, PSBD. · This job is only for Asian nationality. · Interview dates is July 17 2018. · Interview location is: Office no. 1207, Business bay Dubai. If you’re interested and want to work as a security guard then please come with all your documents for interview.